As someone who has always loved adaptations of Jane Austen’s works, I was thrilled to see this manga offered on Netgalley and immediately snatched it up. 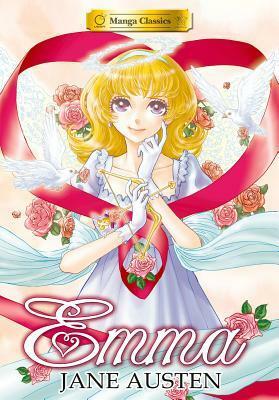 Emma was my favorite book by Austen in high school and since I’ve been zipping through graphic novels this month I thought it only appropriate to add this one to my reading list as well. July was a hectic month as I moved from the Atlanta area to San Francisco! Despite the long plane rides and the laborious process of packing and unpacking, I still managed to power through several books. Now that I’m nearly finished getting settled in in my new home, I thought I’d share some quick thoughts on what I read last month. If you’re like me, one trip to the library or bookstore isn’t enough to satisfy your book cravings. I’ll admit that over the past few years I’ve allowed my book buying habit to get a little out of hand. My poor little bookshelf is crammed full of books that I’ve yet to read but can’t bear to give away. This wouldn’t be an issue if my upcoming move wasn’t quickly approaching. As it is, I’m beginning the heartbreaking task of packing up and donating all that I’ve acquired in the past four years at school. Cue the book gods. I’ve been listening to The Book Riot podcast as I’ve made my daily trip to work and class and heard them mention Scribd and Oyster. Scribd I’d heard of in the past but from what was being said, the site that I’d visited before has made a bit of a change. These sites specialize in subscription reading services. Simply put, you pay each month for access to tons of ebooks. Once I realized that they have free one month trials I knew I had to give them a shot. I started with Oyster because they had the book that I was looking for at the time (it was alright). I was incredibly impressed with the selection of books that I was presented with once I made my account. They even have the Harry Potter ebooks! The Android and Apple apps were easy to navigate and I loved the fact that I could change the theme of the pages in the books that I read. It’s also nice that I can switch between devices and Oyster will save where I’ve left off in a book. I’m actually thinking about paying to continue using this service once my free trial is up in couple of weeks. I would definitely suggest Oyster for people looking to try a subscription service. The trial is long enough that you can get a nice feel of the website and build up a reading list. If you sign up through this link- click– we will both get $15 credited to our accounts which is over one month’s worth of credit! It’s a pretty sweet deal and you honestly don’t have anything to lose. Next stop: Scribd! Feel free to let me know of any subscription reading services that you know of. I’d love to check them out! I received this book for free from Blogging for Books for an honest review. As a cat lover and owner, the moment I saw this book I wanted to get my hands on it. The book itself is very pretty; it contains glossy pages with pictures of adorable cats and the letters that their owners wrote to them. 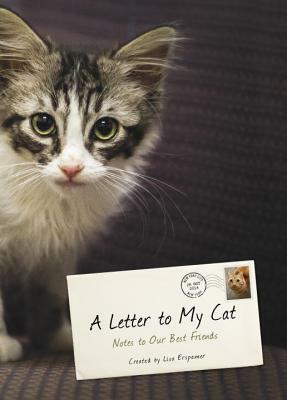 The letters range from hilarious to heartwarming- I’ll admit I teared up a few times thinking of my past fur babies while reading some of these notes. While it was an entertaining read, I see this as more of a gift you’d buy for your cat loving friends than a book you’d sit down to read seriously. I will admit that I’ll most likely pick this up again to flip through my favorite letters and stare at the cute pictures before I pass it on to someone else. Overall this was a cute read with adorable cats and I’m glad to have read it. This would definitely be a cute Christmas present for any cat lovers you might know! I received this book for free from Penguin’s First to Read program in exchange for an honest review. I’ve always been a huge fan of fairy tale retellings so I was prepared to love The Witch by Jean Thompson once I read the summary. I have to say that I wasn’t disappointed. Thompson’s collection of modern day retellings was riveting. As each story began I felt a little like a detective trying to guess which fairy tale this one would be retelling. 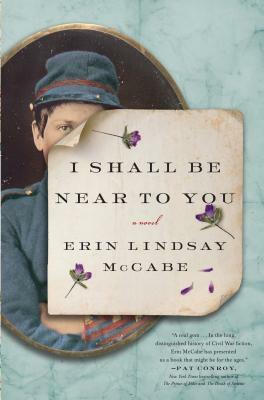 When Jeremiah and his friends begin to talk about joining the Union army, Rosetta takes her future into her own hands. But even after marrying the man she loves, she realizes that she won’t be content to sit at home and wait for him to return to her. Driven by the thought of the money that she can earn for their future together, she does the unthinkable and disguises herself as a man to join in the fighting with him. 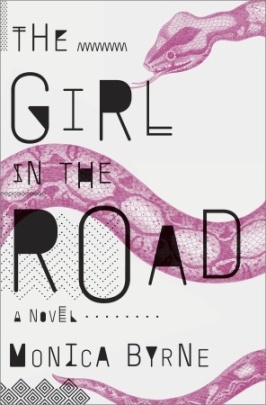 The Girl in the Road embodies this sentiment as the stories of Meena and Mariama are laid out before us. Though the two women have never met, their lives seem to parallel as the two narrate their journeys through a futuristic world and later connect in ways that left me stunned. Emory has read 54 books toward her goal of 150 books.